IEEE Control Systems Society Roberto Tempo Best CDC Paper Award by the IEEE Control Systems Society. The Council on Superconductivity selected Professor Judith L. MacManus-Driscoll of the Department of Materials Science and Metallurgy at University of Cambridge, UK to receive the 2017 IEEE Dr. James Wong Award for Continuing and Significant Contributions to Applied Superconductivity Materials Technology. This award recognizes a living individual for a career of meritorious achievements and outstanding technical contributions in the field of applied superconductor materials technology. The award was presented to Prof. Driscoll during the European Conference on Applied Superconductivity in Geneva, Switzerland in September 2017. Prof. Driscoll received a plaque, an inscribed niobium medallion and a cash award of $5,000. This was the first time a woman has been awarded this honor. “I am in a very important position as a senior female Professor in Cambridge where the proportion of women is very low, particularly women with children. I support women in science at all levels…with proposal writing and personal encouragement. I hold a school Governor position at a local girl’s high school. There, I help to steer the science activities and encourage girls to pursue science degrees,” said Driscoll. Other honors Driscoll has received include The Joule Medal (for applied physics) from the Institute of Physics and The Inaugural Armourers and Brasiers Prize from the Royal Academy of Engineering for materials research that has contributed to industry. Though not an IEEE member, Prof. Driscoll has made significant contributions in superconductivity materials research. 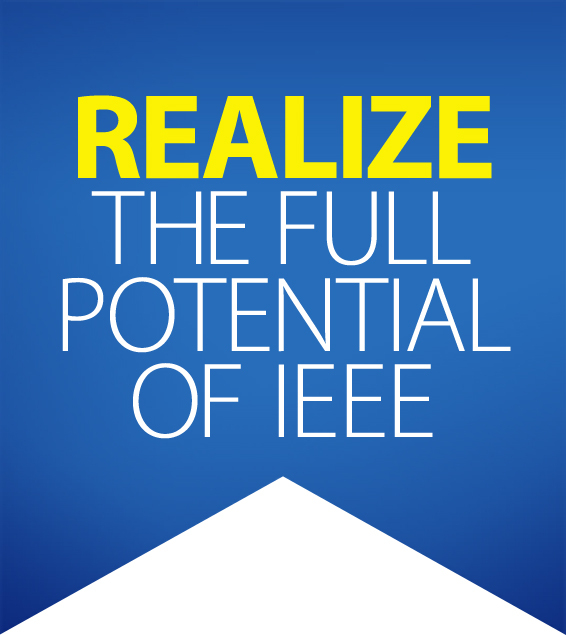 Gifts from James Wong and IEEE Council of Superconductivity to the IEEE Foundation made the establishment of this award possible. 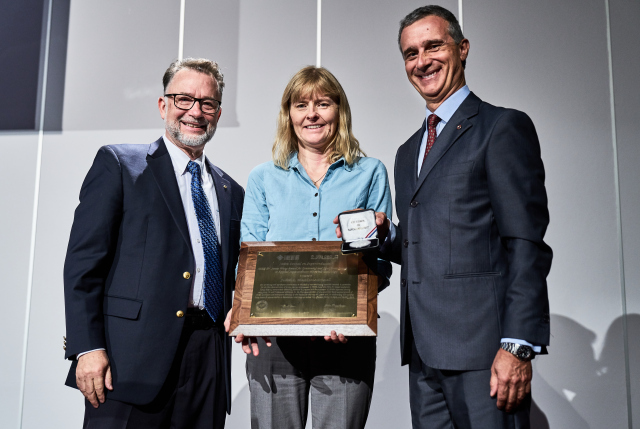 Professor Judith L. MacManus-Driscoll of the University of Cambridge was the first female to receive the IEEE Dr. James Wong Award. 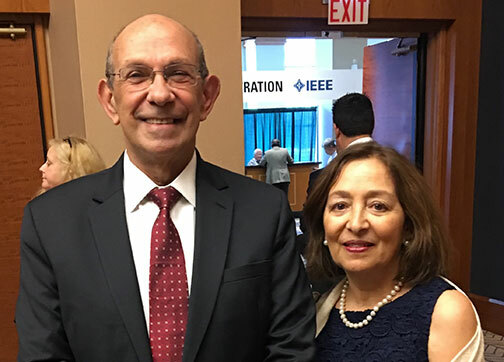 The IEEE Power & Energy Society Lifetime Achievement Award recognizes exceptional power engineers for outstanding career-long contributions to the art and science of electric power engineering. Hugh Rudnick, pictured here with his spouse, was recognized in 2017. The Power & Energy Society Meritorious Service Award recognizes outstanding contributions in leadership, technical activities, and educational activities of the IEEE Power & Energy Society. 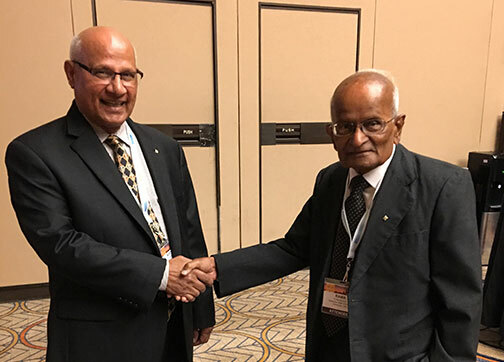 Murty P. Bhavaraju (left) was congratulated by Ramachandra “Rama” Ramakumar, whose support of the IEEE Foundation enable the IEEE PES Ramakumar Family Renewable Energy Excellence Award.